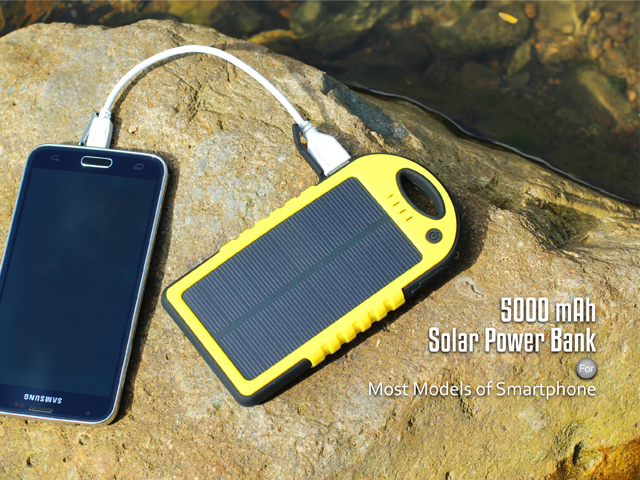 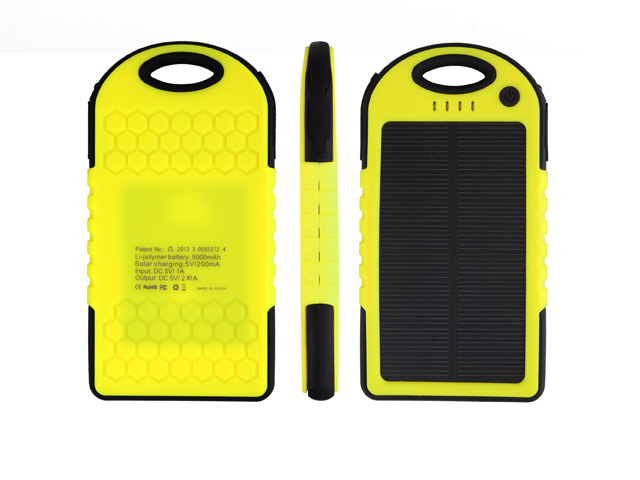 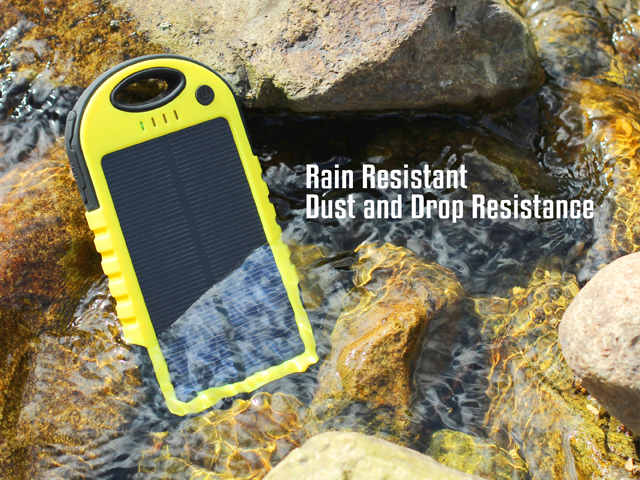 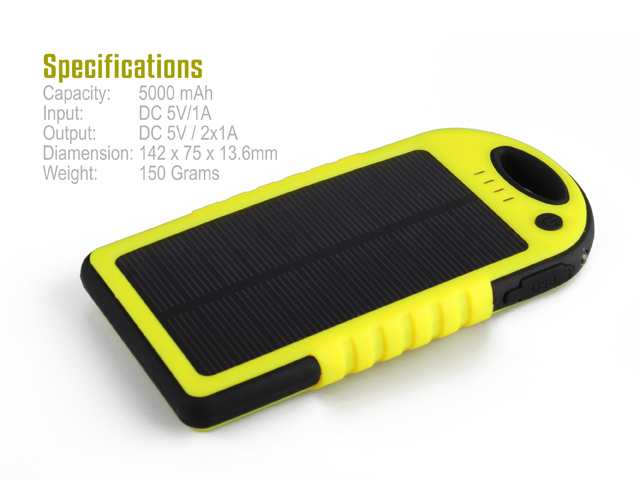 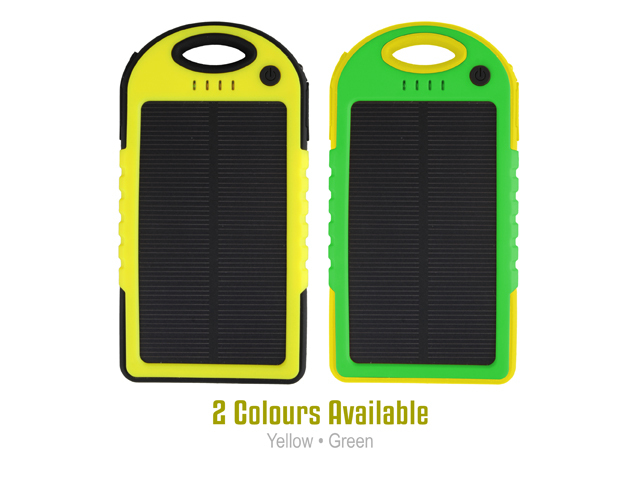 Extremely powerful solar charger features rain resistant and drop resistance. 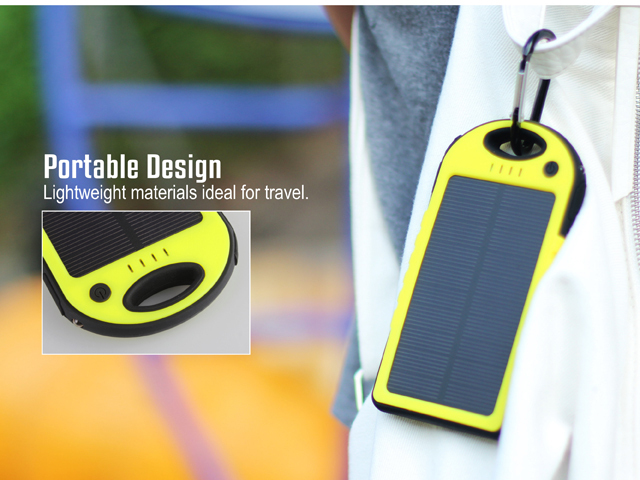 Recharge this solar panel charger under sunshine, then you can charge your phone at anywhere at anytime. 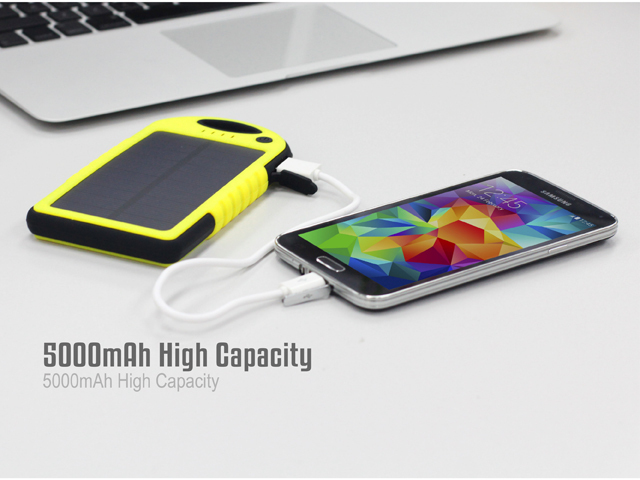 Built-in 5000mAh high capacity lithium polymer battery extends the battery life of your mobile device. Compatible for iPhone, iPad, Android phones and other mobile devices. 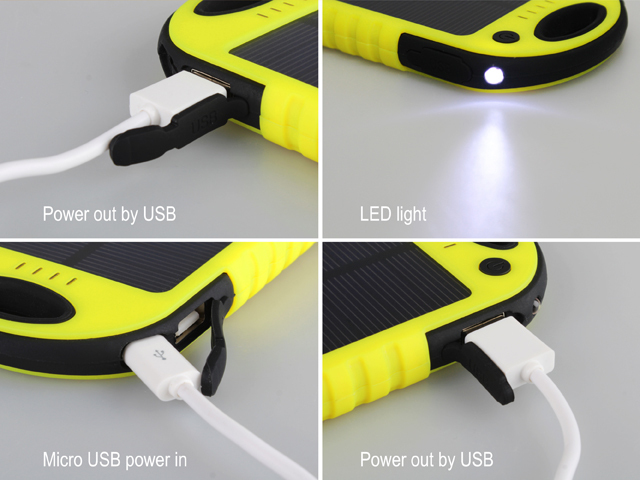 Suitable for charging iPhones, iPads, Andoid phones, GPS devices, cameras, etc.